I went on rateyourmusic.com looking desperately for some awesome '80s new wave music I've never heard before. I used their filter to come up what their users thought were the top new wave music albums of all time, and this one came up in the Top Ten. Perfect, because I've never heard of the guy! Even though I usually don't understand what this dude is saying, I'd imagine it must be pretty goofy. I mean, hear that extended, wobbly note he sings at the end of “Summer on a Solitary Beach” that seems like it was modified to sound like a flying saucer from a '50s B-movie. There are also a few moments throughout this album in which he breaks into a Monty-Pythonesque operetta. So, it seems the guy was having fun with this. I hear him quoting a bunch of old '60s songs in "Cuccurucucu,” which is the perfect place to hear how charmingly thick his Italian accent is. The song is remarkably catchy, too; I suspect it's one of the finest '80s pop songs there is. Shockingly, I did a little bit of research! 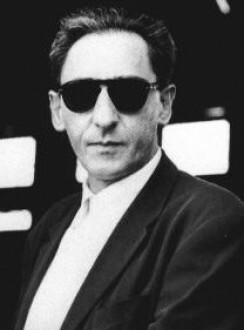 What I learned is that Battiato had at least 10 years experience making "experimental" albums, some of which were in a Philip Glass vein, before breaking out into pop music in the early '80s. I hear at least a Glassesque spirit throughout this album, except it's set to a herky-jerky rhythm. Most of these songs feature repetitive textures and chord progressions, but they're done in a way that I find mesmerizing. He keeps these songs fresh throughout their running time by adding extra instruments and/or providing an interesting background effects. ...This is clearly the work of a seasoned pro. The only drawback is that the album is barely over thirty minutes. But this is better than loading an album with filler! Every song here is good. “Bandiera Bianca” might be the highlight, which features a memorable, subdued groove that he finds ways to decorate as it progresses. At one point I hear a muted electric guitar playing disjointed notes, and--at the very end--some xylophones come in, twinkling. “Sentimento Nuevo” is a laid back and phenomenally happy song with a bouncy bass, silly synthesizers, sweet mandolins, twinkling pianos, sunny electric organs, and a little bit of fuzz guitar in spots for good measure. And, wow! It's also catchy! I love that artful, Roxy-Musicesque saxophone playing such memorable riffs throughout “Centro Di Gravita Permanente.” Oh, the bass guitar and jerky rhythms are great, too, but I could listen to those saxophones play like that for eternity. I don't find “Segnali Di Vita” and “Gli Uccelli” as catchy as I find them rather beautiful experiences, both featuring pianos flourishing in the background and thickly laid strings. 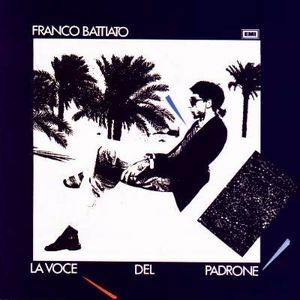 Those are also moments I notice that Battiato can create a rather beautiful high-pitched coo.